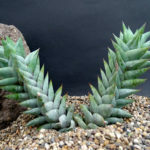 Astroloba rubriflora is a succulent plant up to 18 inches (45 cm) tall, with multiple sprawling stems, densely covered in sharply-pointed, waxy, blue-green leaves that nonetheless go brownish on exposure to harsh sun. 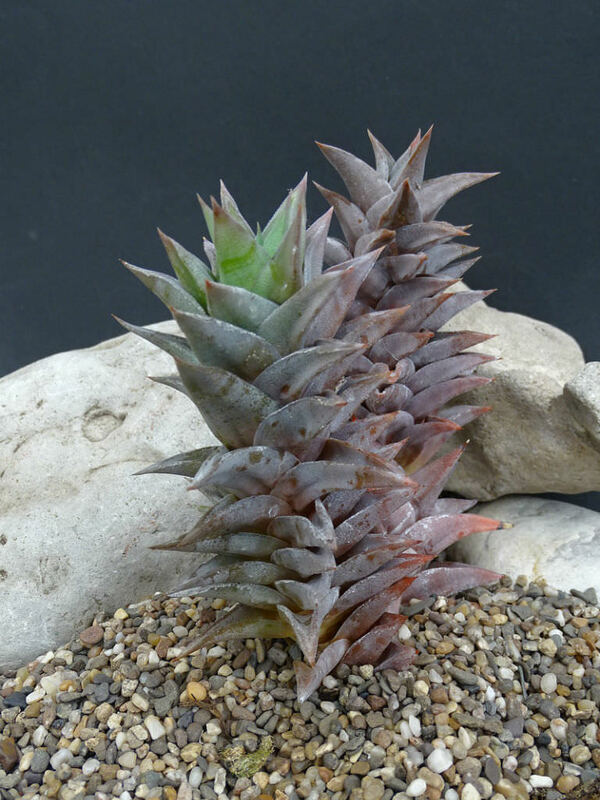 It is one of the most unusual of the species in its genus. 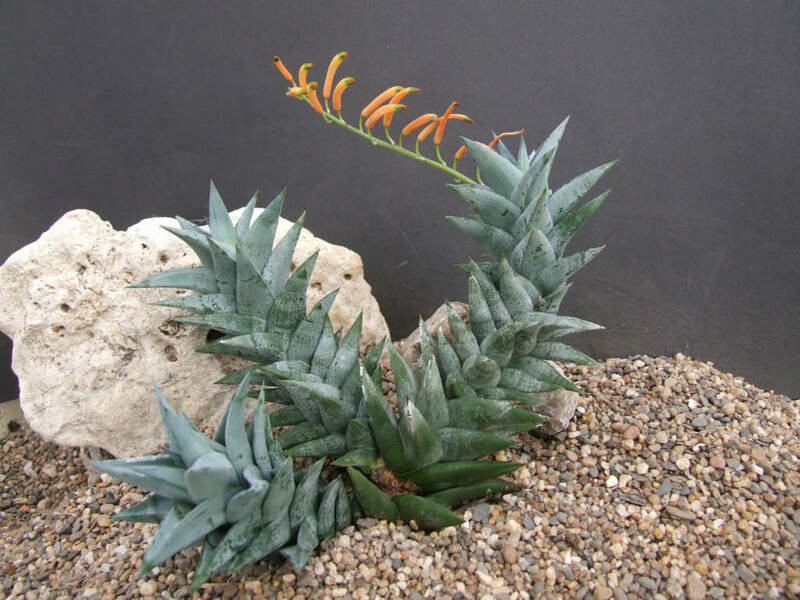 Its flowers are unlike those of its close relatives in the Astroloba and Haworthia genera, and more similar to those of Aloes. The long, thin inflorescence has a horizontal raceme and red flowers with green tips, that all twist into an erect position. USDA hardiness zone 10b to 11b: from 35 °F (+1.7 °C) to 50 °F (+10 °C). 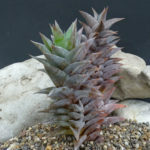 Astroloba plants are increasingly popular as succulent ornamental, due to the extraordinary beauty of their leaf structure. 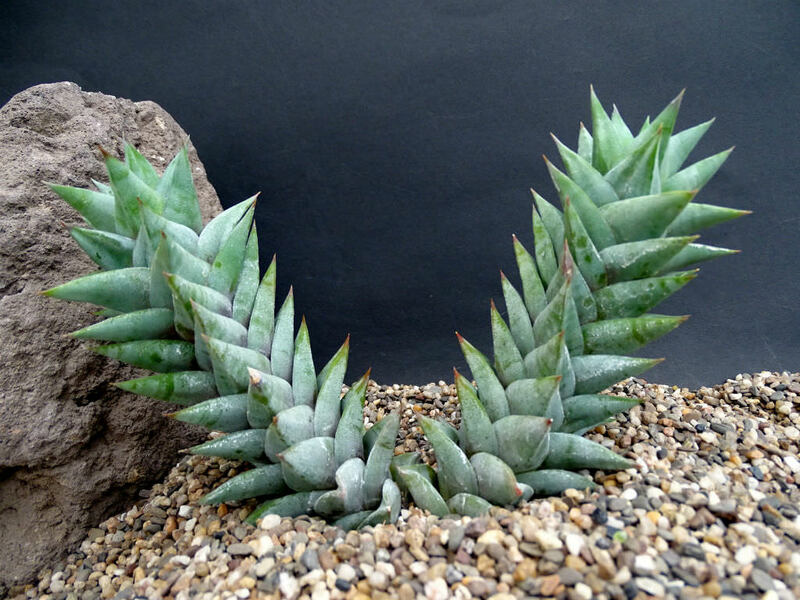 Some have intricate patterns of lines, margins, spots and raised tubercles on their leaves. 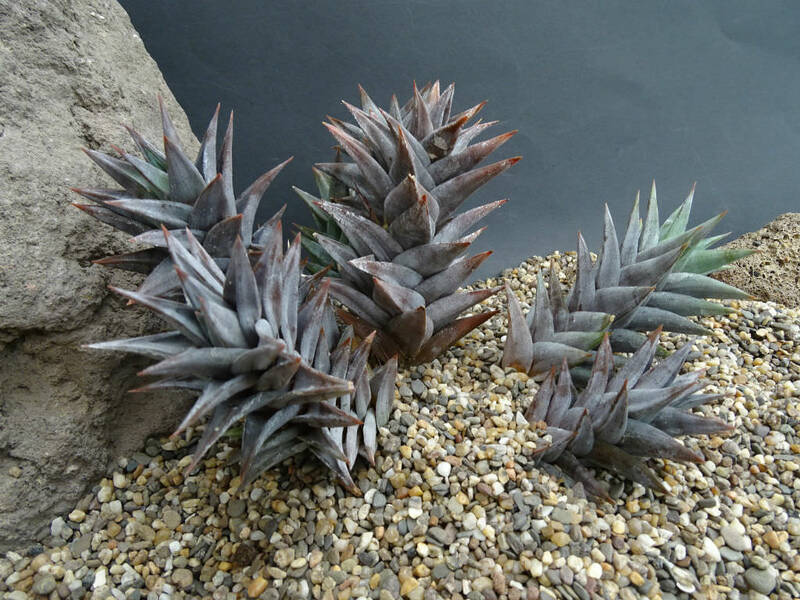 Nearly all of them display a crystal-like regularity in their leaf arrangement. 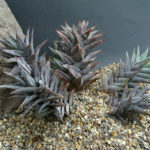 This is not always apparent in wild plants, which are usually disfigured by their harsh habitat. In cultivation, Astrolobas are at their best when provided with some protection from full sun. In a semi-shade environment, with extremely well-drained soil and gentle conditions, Astrolobas can become remarkably beautiful and ornate. It is found in the mountainous Karoo area around Robertson, South Africa.